Posted on: January 26, 2016 By: Christopher Brown, Esq. If you have ever been fired from a job, you probably feel like you’ve been slighted or wronged in some way. You may feel like you did not receive adequate notice before you were let go, or the reason you were given for your termination was insufficient. Though you may feel that something illegal has occurred, the majority of employees work “at will”, a term used to designate that they can quit or be fired at any time, for whatever reason. At will employment also legally provides that the termination can be with or without notice and with or without cause. However, there do exist several situations when an at-will employee cannot legally be fired. At-will employees cannot be fired for reasons that are deemed discriminatory, designed to punish the employee for being a whistleblower, or that violates employee protection laws including but not limited to the National Labor Relations Act or OSHA. If the reason you were let go from your at-will employment, was in fact illegal, you may have grounds to bring a suit against your former employer and receive compensatory damages. In order to help you understand what constitutes wrongful terminations we’ve included a brief write up on several of the most common reasons wrongful termination suits are brought against former employers. Should you be offered an employment contract which guarantees your employment is secure for a specified period of time, or language in your contract states that you cannot be terminated without a specified process taking place, you may have a case for wrongful termination. Statements included in employment contracts such as these are indicative that your “at-will” employment status was not actually “at-will” and your position is legally protected. Though harder to prove in a court of law, implied agreements or promises of protected employment may also terminate your at-will employee status and provide you some protection in a wrongful termination case. Implied promises are actions or things your employer has said that led you to believe your position was secure. This can often include promises of permanent employment, promises of continued employment, or promises of wage increases and promotions. If you have been terminated as the result of a retaliatory action on the part of your employer, you may have grounds to bring a suit for wrongful termination against them. Retaliation is illegal if you are fired as a result of your being involved in a legal activity. This is often the case when employees are terminated for filing complaints with the Equal Opportunity Employment Commission, National Labor Relations Board, or the Occupational Safety and Health Administration against their employer. In cases where wrongful termination is claimed due to retaliation, the prosecution must prove that the employer acted as a direct result of the employee’s legal actions. The terms good faith and fair dealing come up often in cases of wrongful termination. This is the standard an employer must act with when dealing with employees. If an employer does breach the standard of good faith and fair dealing it means they have treated an employee unfairly or deliberately deceived them. Some examples of this are in cases where employees have been terminated to avoid payment of a sales commission, pushing an employee to quit to avoid paying them severance pay for being terminated, and misleading an employee about a chance for promotion or potential raise. 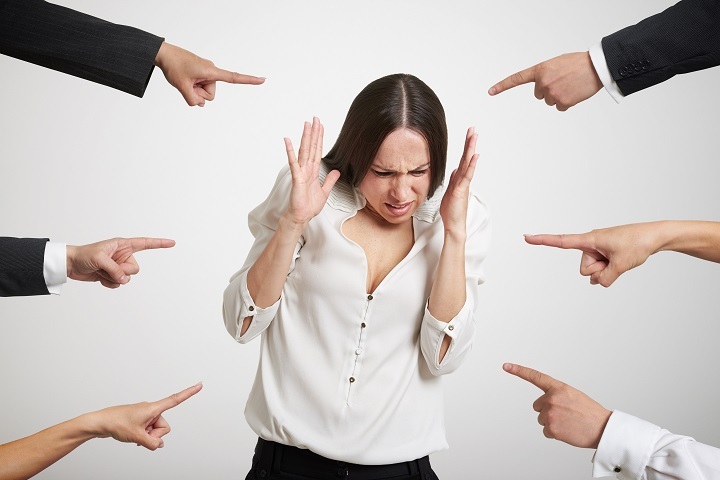 Wrongful termination can be claimed in cases where an employee believes they have been fired because of their race, sexual orientation, color, creed, nationality, gender, religion, age, disability, or due to a pregnancy. In cases where discrimination has occurred, the terminated employee may first have to file a complaint with the state and federal government before bringing suit against their former employer. Whistleblower protection protects employees who file a complaint against their employer or reveal that their employer has violated a major law that harms the public interest or the environment. Depending on the state, all forms of whistleblowing may be protected, or only in certain instances which are considered to be more severe violations. If you believe that you have been terminated wrongfully, for illegitimate reasons, or otherwise illegally consult with the legal professionals at The Brown Firm PLLC. After hearing the specifics of your case, we can make an educated determination whether or not your rights have been infringed upon. We offer a free consultation, and will pursue your case vigorously to secure the compensation you deserve should we believe wrongful termination has occurred.